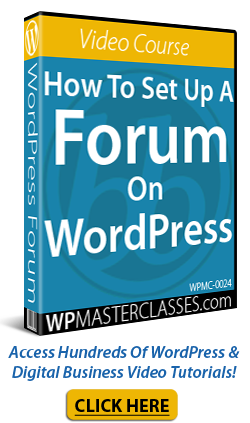 Are you getting comment spam on your WordPress media attachment pages? This step-by-step tutorial will show you how to delete comment spam from your media attachments and how to prevent this from happening in the future. This was a new site that I had quickly set up and hadn’t finished fully configuring. To prevent further comment spam from being posted on the site through its media attachment pages, I now had to disable the ‘Discussions’ feature for all existing media items. Also, unless certain plugins or features installed on your site require you to upload and use images from the WordPress Media Library, we recommend storing and serving all media used on your website from a media storage and delivery service like Amazon S3. This brings you to the Media Library screen. The screenshot below shows items uploaded to your media library displayed as a grid. Make sure that your media file has been updated. Comments are now disabled for your media attachment page. What If You Have Too Many Media Elements In Your Media Library … ? In this case, we recommend using a plugin. It also removes all comment-related fields from edit and quick-edit screens, the WordPress Dashboard, Widgets, the Admin Menu, and the Admin Bar. On multisite installations, it can be used to disable comments on your entire network. Note: Don’t use this plugin if you want to selectively disable comments on individual posts. This plugin should be used if you don’t want comments at all on your site (or on certain post types), as the plugin settings cannot be overridden for individual posts. You can also access the plugin settings screen by going to Settings > Disable Comments. After configuring and saving your settings, it’s time to check that everything is working as it should. Hopefully, this tutorial has helped you with stopping or preventing comment spam from being posted on your WordPress media attachment pages. We are all familiar with filling in forms online using captchas to prove that we are humans and not robots. Google offers a free service to protect your website from spam and abuse called reCAPTCHA. If your WordPress site is getting spammed, you may want to look at adding captcha verification to your forms. In this tutorial, we’ll show you how to add Google reCaptcha verification to forms on your WordPress site. If you plan to add security captchas to forms on your site without touching code, you will probably want to use WordPress plugins to do this (we’ll look at some plugins that let you easily add captchas to forms on your site later in this tutorial). Before plugins can display security captchas to your site visitors and users, you will need to register your site with Google’s reCaptcha service and get unique keys that will connect your plugin with the service. (1) Enter the name of your site or a label that will help you identify the domain you are registering with the service. Using reCAPTCHA v2 verification will either pass the user immediately (with No CAPTCHA) or require them to validate if they are human or not with additional catcha security challenges. Do not share these keys with anyone else, especially your Secret key. There are a number of reCaptcha plugins you can use with WordPress to protect your forms from spam entries. Note: Not all captcha plugins use the Google reCaptcha service. We recommend going through some of the plugins above and installing whichever one best fits your needs. Congratulations! Now you know how to add Google reCaptcha security captchas to forms in your WordPress site.